Another one for anyone who can't resist an astrology theme, and best-seller sets hoping for a spot under your tree. In case you missed the Fresh Limited Edition Zodiac Sugar Lip Treatment Advanced Therapy lip balms mention in this post, here it is: they&apos;re already available at sephora.com. 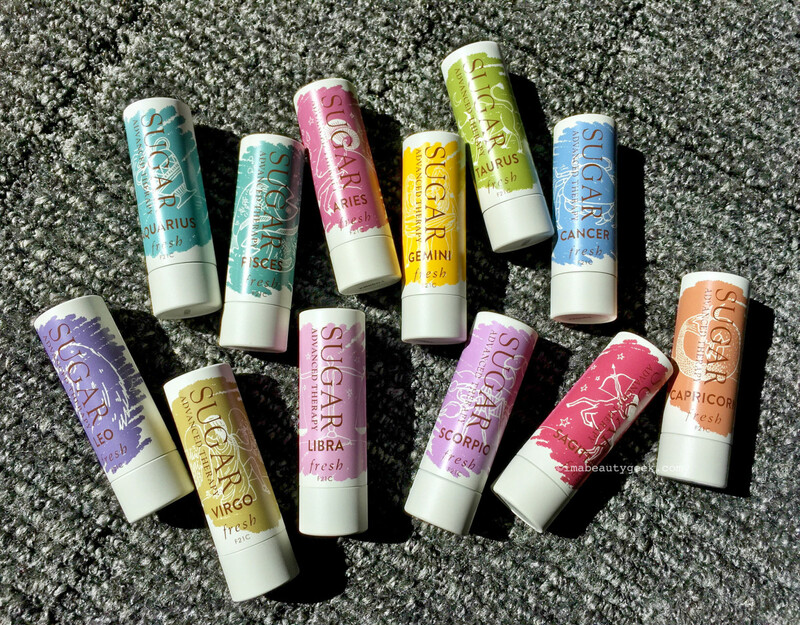 A follow-up to the brand&apos;s popular (and still available) Zodiac Soaps, the Zodiac Sugar Lip Treatment Advanced Therapy lip balm ($32 CAD and $26 USD at sephora.com) is the regular, non-tinted, non-flavoured balm stick in all the astrology-sign outfits. 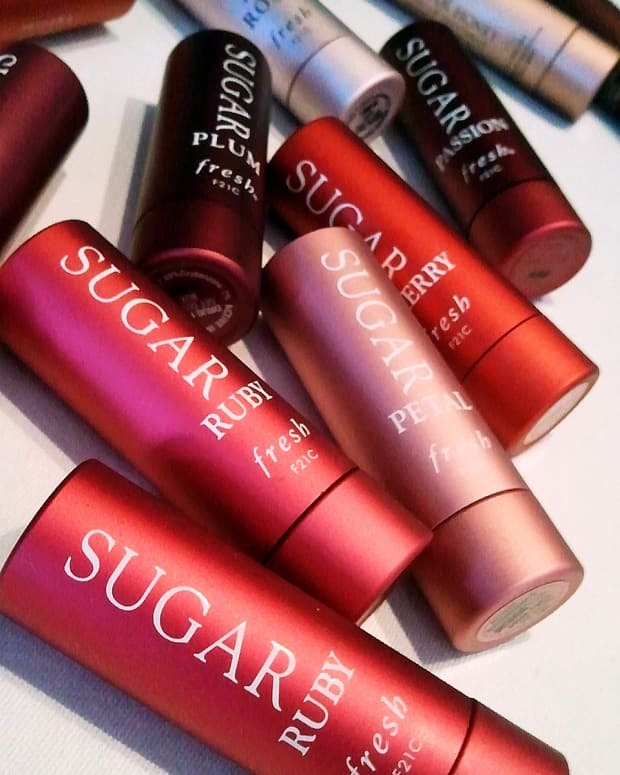 Fresh Sugar Lip Treatment Advanced Therapy balm conditioning ingredients include castor, grape, meadowfoam and sunflower seed oils, along with beeswax, carnuba wax and jojoba. Note: Strangely, Libra is missing from the sephora.com lineup. If it were temporarily sold out, the image would be X-d out; instead it&apos;s just not there. A glitch perhaps? 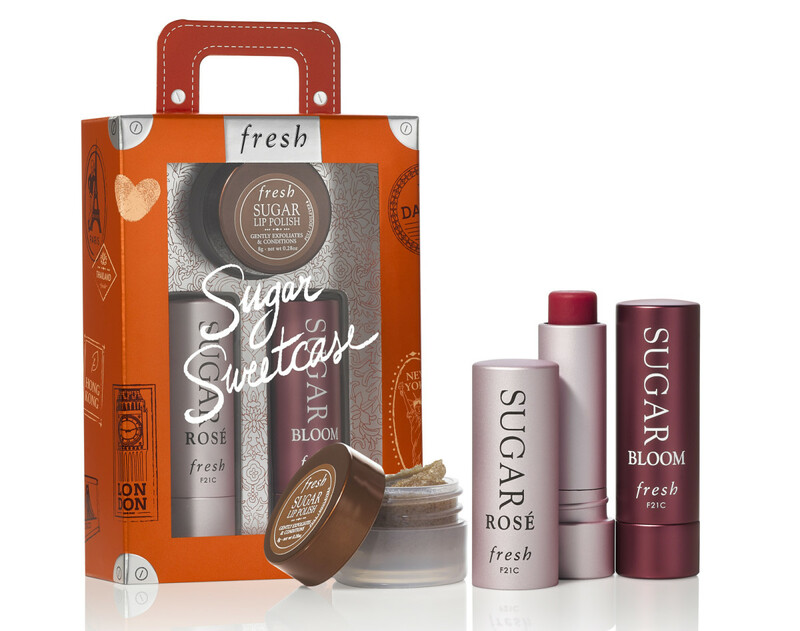 As usual, Fresh has a slew of skin- and lip-care kits for holiday 2018 at a variety of price points. In travel-inspired packaging – founders Lev Glazman and Alina Roytberg travel extensively – sets range from $26 to $144 CAD and most of them just landed at Sephora. Have I already mentioned that the Sephora-available sets have just landed? 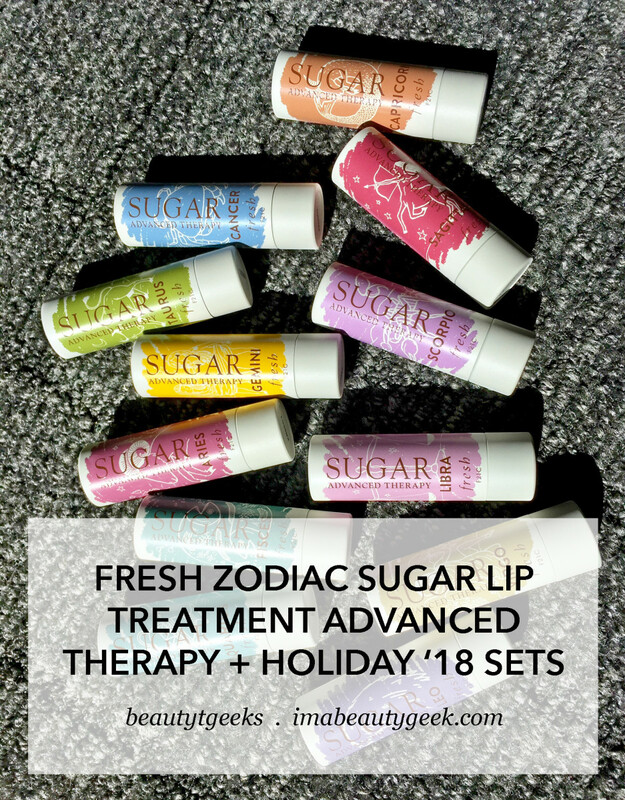 And that the Fresh Zodiac Sugar Lip Treatment Advanced Therapy Lip Balms are also available now? All right, lovelies – anything here interest you? For yourself or someone else? 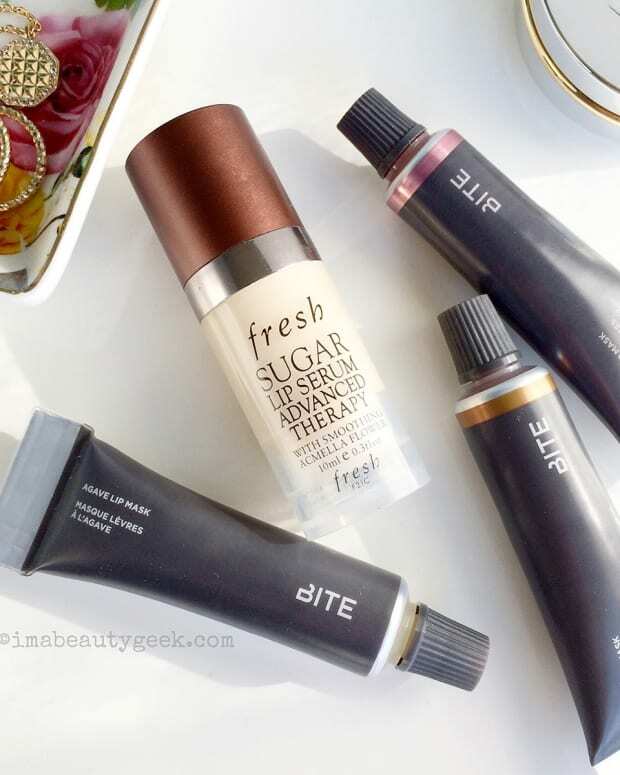 FRESH ZODIAC SUGAR LIP TREATMENT ADVANCED THERAPY LIP BALM Ingredients: Cera Alba (Beeswax), Ricinus Communis (Castor) Seed Oil, Simmondsia Chinensis (Jojoba) Seed Oil, Hydrogenated Olive Oil Decyl Esters, Vitis Vinifera (Grape) Seed Oil, Parfum (Fragrance), Copernicia Cerifera (Carnauba) Wax, Persea Gratissima (Avocado) Oil, Limnanthes Alba (Meadowfoam) Seed Oil, Ribes Nigrum (Black Currant) Seed Oil, Helianthus Annuus (Sunflower) Seed Oil, Rosa Damascena Flower Water, Retinyl Palmitate, Ascorbyl Palmitate, Ascorbyl Tetraisopalmitate, Tocopherol, Sucrose Tetrastearate Triacetate, Ci 15985 (Yellow 6 Lake), Ci 77891 (Titanium Dioxide), Ci 15850 (Red 7 Lake), Polyglyceryl-3 Polyricinoleate, Ci 77491 (Iron Oxides), Ci 77499 (Iron Oxides), Propyl Gallate, Limonene, Benzyl Alcohol, Linalool, Bht, Citral, Citronellol, Geraniol.